Can someone help me read this beautifully hand written note to describe these Blastiods please. 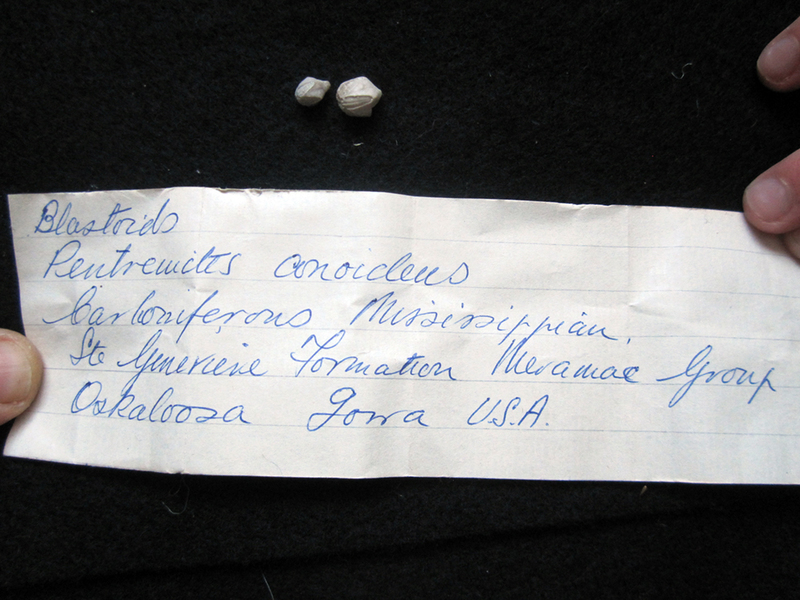 Thank you @Fossildude19 the contents are as equally interesting as is the old UK matchbox they were found in. 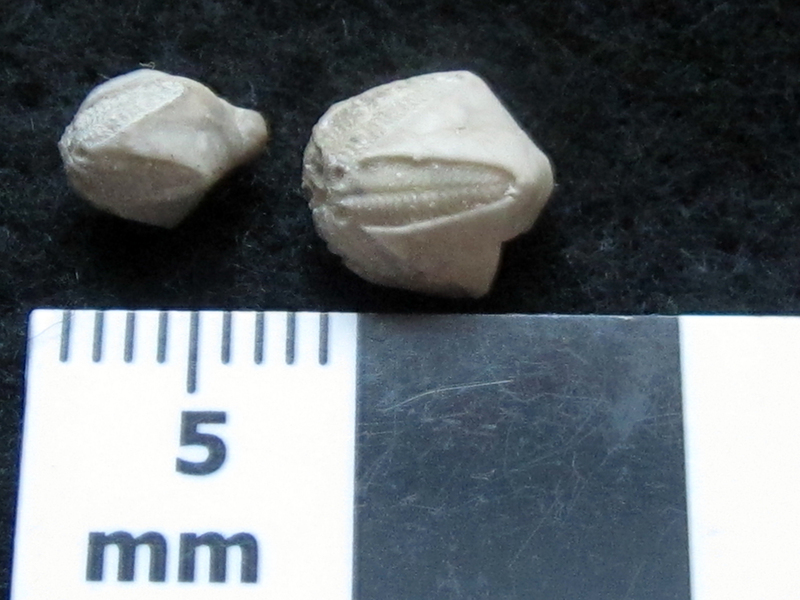 I've collected blastoids near Oskaloosa many times. Occasionally you will find them with the brachioles still attached at this locality. Your label might be outdated. 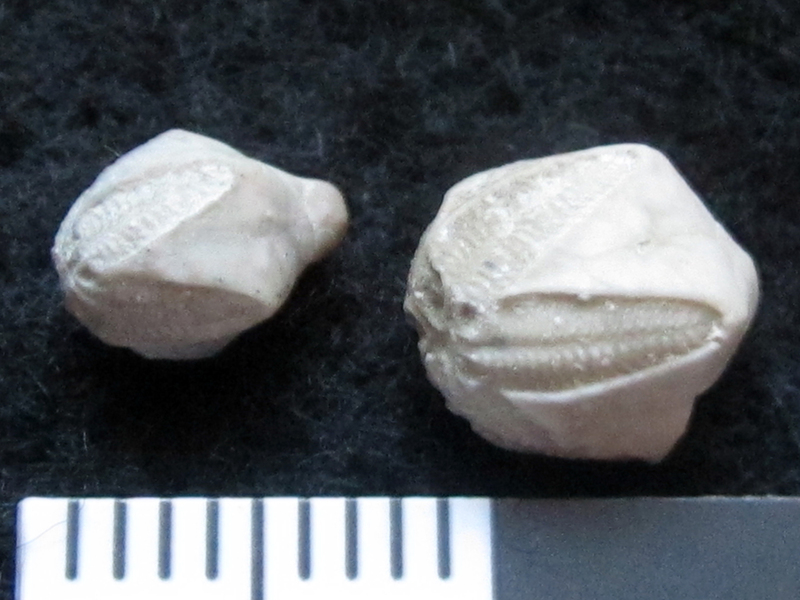 I think the blastoid found there is Pentremites pulchellus. The formation is the Pella Formation. 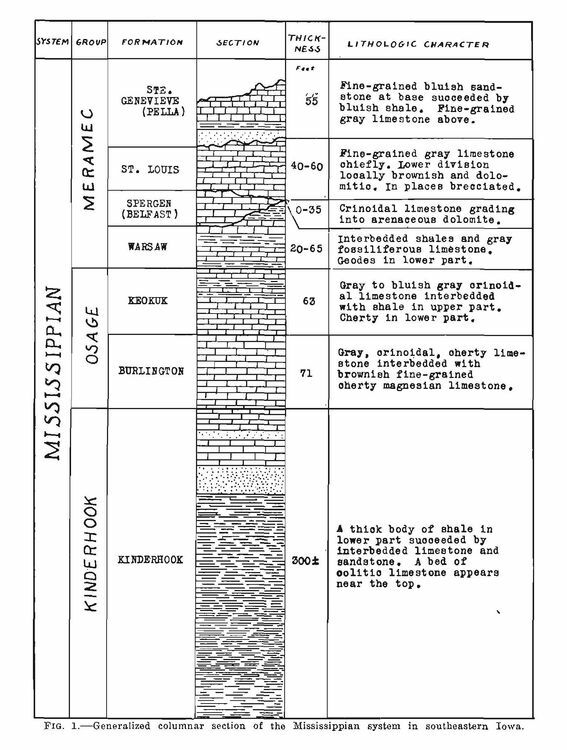 Old papers did call it the St. Genevieve Formation. Fantastic answer @Al Dente as it's these kind of precise answers I'm looking for. As I continue to delve further into these little boxes. I shall amend my descriptions where nessecary. I think there is a misspelling on the handwritten note. 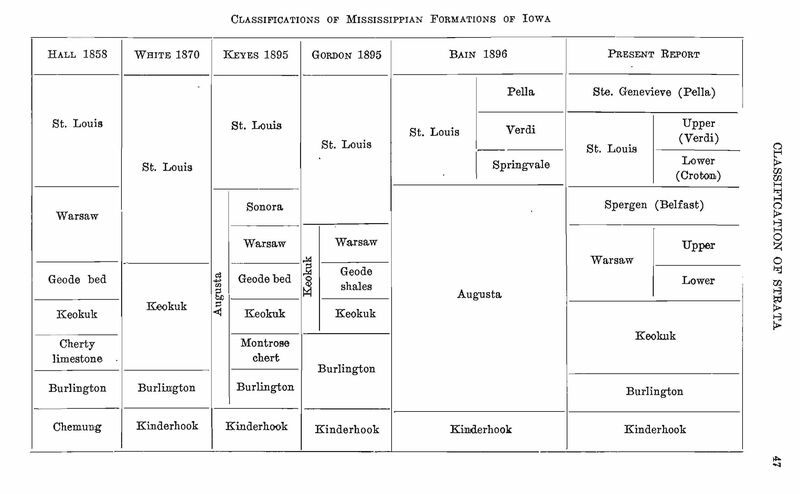 The name 'Ste Genevieve Formation' (Pella) is correct, but 'Meramac Group' should be Meramec Group. Francis M van Tuyl. 1922. 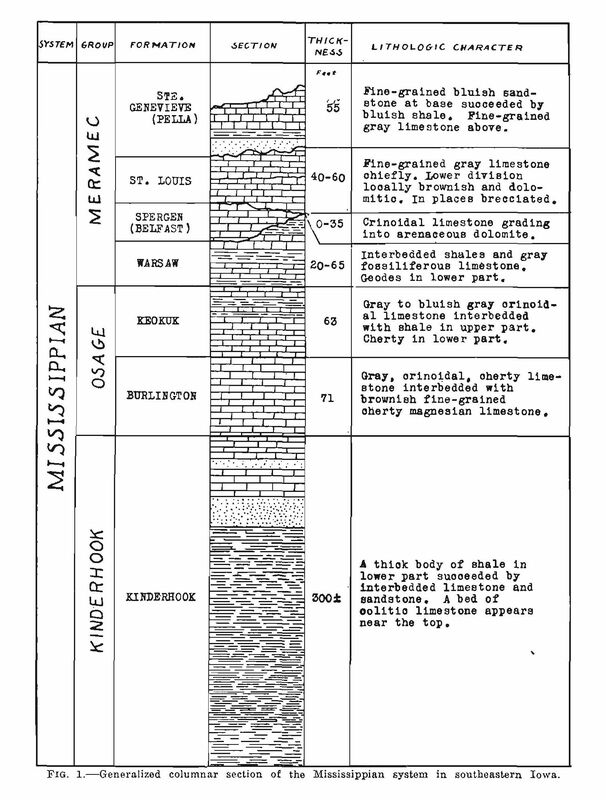 The Stratigraphy of the Mississippian formations of Iowa. Iowa Geological Survey, Vol. 30. p. 33-360.